I’m not sure, but Microsoft may have had some of the most significant announcements of its long and historical run as the top company in technology at this year’s E3 conference. While some people, such as our own Jon Rettinger, have called the new Kinect device, formerly Project Natal, “gimmickey”. While this may be true in the context of video gaming, what I’m curious about is its other potential applications in business and home computing. We’ll have to wait to see how exactly it holds up in the realm of gaming, but what if the Kinect comes to the boardroom? Video conferencing equipment has been insanely expensive for years. You can now go and purchase an Xbox Slim with Kinect this fall for $399. You get the ability to video conference with people for free (outside of your Internet connection), and with its ability to network with computers, you could theoretically share business videos with one another like Microsoft demoed with a movie trailer. $399 a setup compared to thousands other equipment has cost in the past, you could potentially put one of these on every employee’s desk. Now, what if you take the Xbox 360 out of the equation? 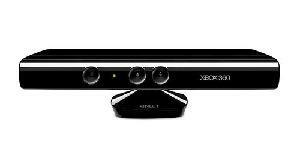 The Kinect is going to be sold as a stand-alone device for $150, but what would you hook it into? Can’t you just see Kinect support coming to a future Windows update? Possibly a unit with a different physical configuration that would sit on top of your monitor like some webcams do now? You would get video conferencing with advanced features, but you could also get some gesture controls with the device. I know, it isn’t a pleasant thought gesturing to control every part of your computer, but remember that the Kinect also has voice capabilities. Imagine being able to say “Computer, open iTunes.” Once you’ve got it open, use your hand to flip through Cover Flow to browse through your music. Useful? Maybe? Cool? Definitely. Leaving the world of business and computers, what about the potential of it helping people with limited mobility? If the technology would be adapted to control more devices, imagine someone who was bed-bound, paralyzed from the waist down and so on. With the mixture of voice and gesture controls, this could potentially open up all sorts of new possibilities for them interacting with their home and givign them back some of their freedom. None of this speaks to how the Kinect will work in the world of gaming, but what I think we have actually seen is the first steps towards the future of computing. Somewhere between the voice controlled computers of the Star Trek universe, or the gesture controls of Minority Report, but it looks like we may be on our way to the future we’ve been promised at long last.